Ampleon has announced details of its contribution to EDI CON China 2018, both on the exhibition floor and via speaker/expert panel participation. A network sharing deal between China Unicom and China Telecom drove LTE capex down 16 percent year-over-year. NXP Semiconductors and China Academy of Information and Communications Technology sign agreement to foster innovation in intelligent transportation and securely connected vehicles. Cobham Wireless has partnered with China Mobile to showcase the world’s first end-to-end demonstration of Cellular Internet of Things testing technology at Mobile World Congress Shanghai 2016.
e2v and Glory MV Electronics have signed a distributor agreement to provide e2v thyratrons to science institutes and OEMs of industrial non-destructive testing and irradiation equipment in China. Sivers IMA has reached an agreement with Shanghai Matrix Electronic Co. Ltd. to act as its reseller for the Chinese market. 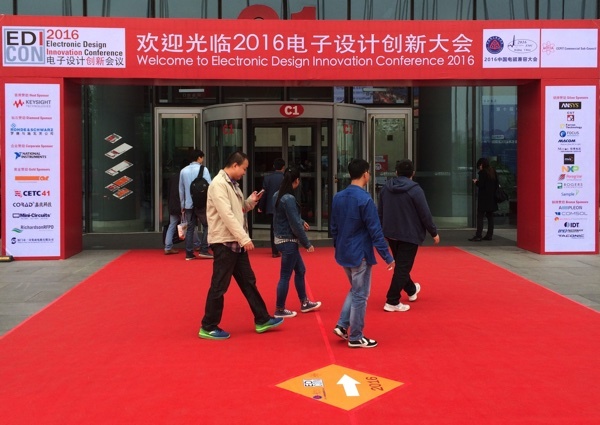 EDI CON China 2016 set new records for attendance and sponsorship, with more than 3,100 unique attendees — including 1,855 delegates. Attendance grew by 35 percent, and the exhibition grew by 32 percent, making it the largest RF/microwave, EMC/EMI and high-speed digital design event in China.